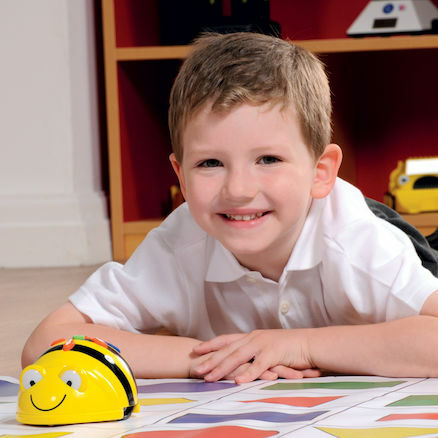 Bee-Bot’s simple and child friendly layout is a perfect starting point for teaching control, directional language and programming. 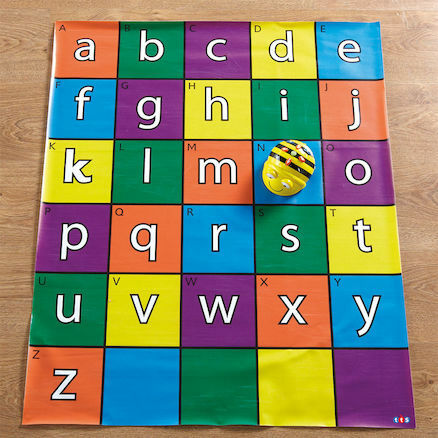 With a wide range of cross curricular mats to program with, and fun accessories to personalise, Bee-Bot is the must have programming resource for any KS1 classroom. Bee-Bot can accurately move in steps of 15cm, turn in 90° turns, and remembers up to 40 steps! In this teaching guide we show how easy to use the lovable Bee-Bot is. The National Curriculum for Computing references (above) are indicative of some aspects of the curriculum the activities cover. They are not an exhaustive list nor do they indicate that one activity fully covers that curriculum area. 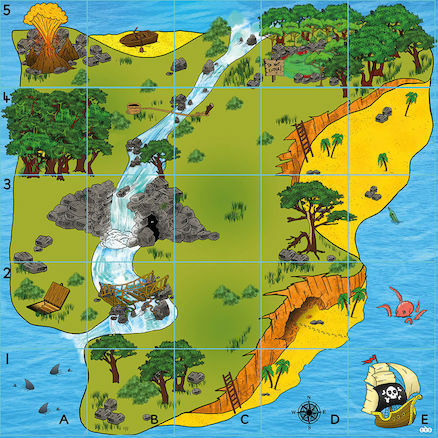 The activities support children in learning computing skills and applying computational thinking. 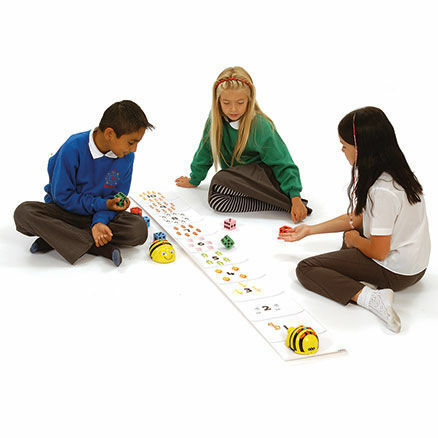 Using BeeBot will help children engage in open-ended problems which require the use of decomposition, modelling and algorithms. 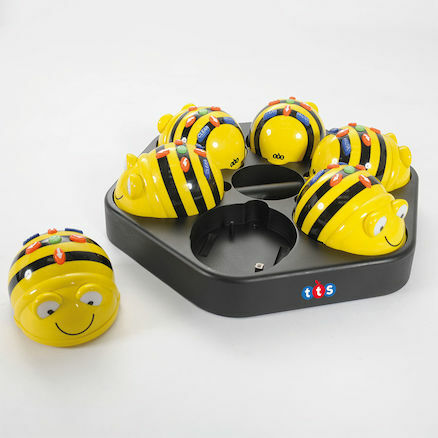 Prior to using Bee-Bot, children may have worked with remote control vehicles. Remote control vehicles can help develop an understanding of action, reaction and directional language. Bee-Bot offers a good route into very early programming. The activities listed below are in a suggested order of progression. There is no specific amount of time to be spent on each as this will vary from one situation to another. It may also be necessary to break some of the activities down further to suit children’s needs. What do they think is inside? Do the symbols/writing on the buttons give them any clues? What happens when a button is pressed several times? In what order do the buttons need to be pressed to make something happen? 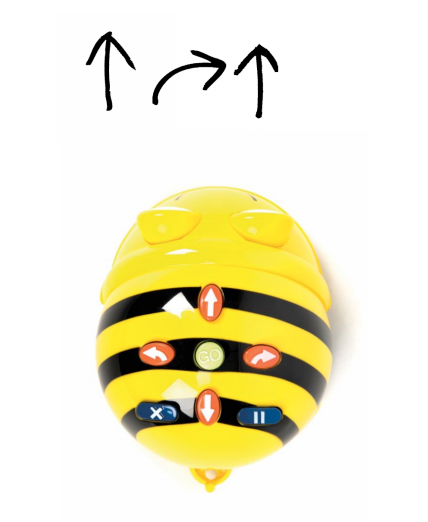 What happens if the buttons are pressed again after Bee-Bot has moved? How far does it move on each press of the forward or backward button? How far does it turn left or right? How is Bee-Bot’s memory cleared to start again? Hint: Suggest the children start Bee-Bot from the same point each time. Develop the activity by providing the children with mats. Which squares can Bee-Bot reach with 3, 4 or 5 button presses? Use Bee-Bot mats to set simple challenges. If possible start with a straight mat, such as the number mat shown right. Children need only use the forward and backward commands. 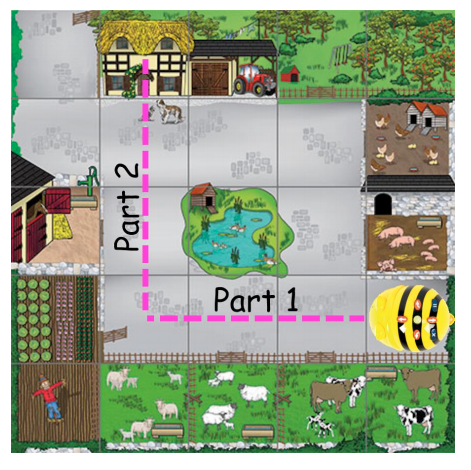 Using a linear numbered mat will encourage children to count on and back. Next, move on to square mats such as the shape mat and introduce turns. Can children make Bee-Bot move from one destination to another? Initially these challenges should be fairly simple. They may be differentiated to suit different children, i.e. shorter or longer distances, involving more or less turns. Children should solve them through trial and error, i.e. enter the commands and press GO. Does Bee-Bot reach the destination? If not, should they add more commands or do they need to clear Bee-Bot’s memory and try again? 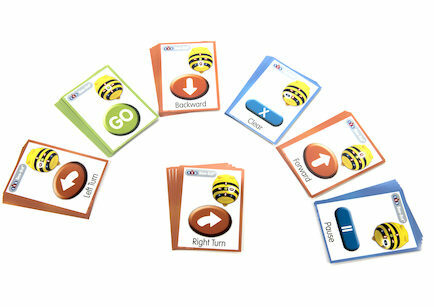 Children may need reminding to put Bee-Bot back to the start for each try. After several challenges set by the teacher, children should set them for each other. Having spent time exploring how Bee-Bot works, children should begin to solve problems through planned solutions rather than a trial and error approach. Challenges may be set by teachers or peers. Working in pairs children should write down their solution to a challenge. They should record the commands and the sequence in which they are needed. 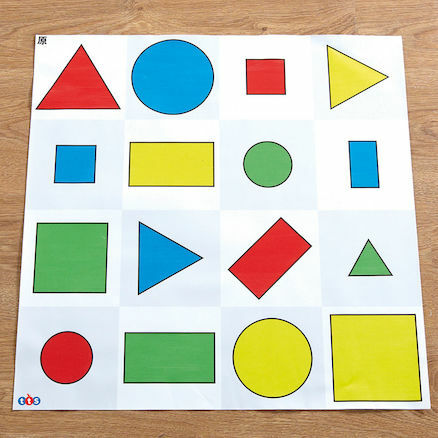 They might record their algorithm by drawing the command symbols on a piece of paper or a dry wipe board. Once a program has been planned, children will need to try it out. If they discover it doesn’t work, they should look back at their plan and ‘debug’ their program, i.e. work out where it went wrong and what they need to do to fix it. Debugging was introduced in the previous Key Focus. 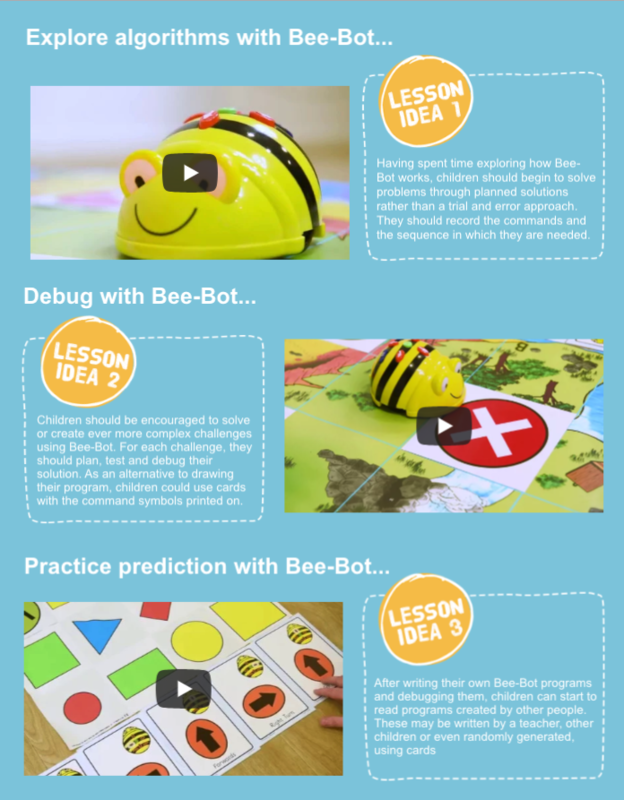 Children should be encouraged to solve or create ever more complex challenges using Bee-Bot. For each challenge they should plan, test and debug their solution. As an alternative to drawing their program, children could use cards with the command symbols printed on. The cards should be laid out in the order they think will solve the challenge. When debugging they may need to switch cards around or add additional cards to their program. After writing their own Bee-Bot programs and debugging them, children can start to read programs created by other people. These may be written by a teacher, other children or even randomly generated, using cards (shown above). 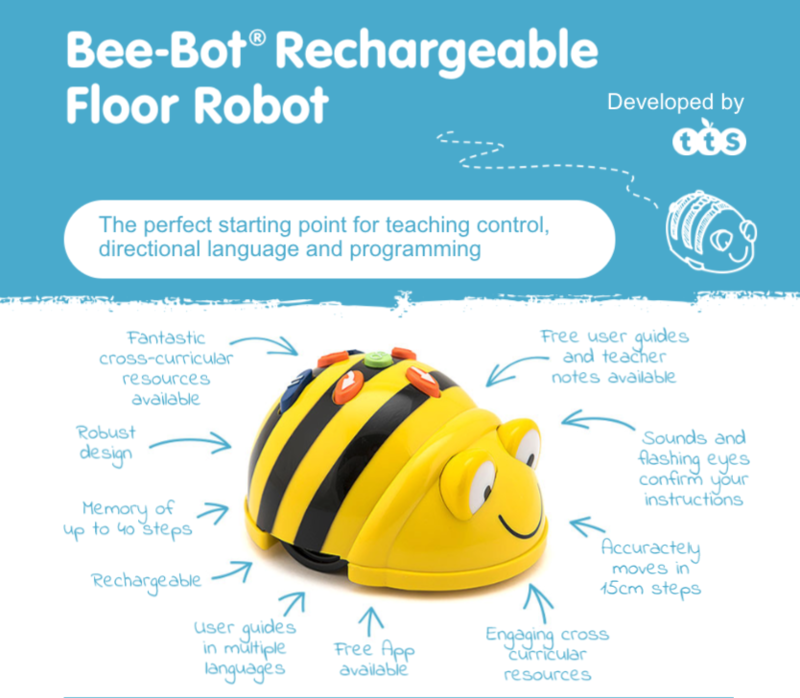 The student needs to know Bee-Bot’s starting point and the program to be used. They should go through the steps to work out where Bee-Bot will end up once all the commands have been entered. Mark the destination point before running the program. Initially the programs should be only a few steps. The number of steps may be increased to develop the complexity of the challenges. In computational thinking, the word ‘decomposition’ means breaking a problem down into smaller more manageable parts. This is a good approach to most problem solving. When tackling challenges with Bee-Bot children should break the problem down into chunks. An example is shown below. The challenge is to move Bee-Bot to the farmhouse. This could be broken into 2 parts. Part 1 is the forward movement to the turn. Part 2 is the turn and the forward movement to the farmhouse. Using the pause button between parts 1 and 2 will help children see the two stages more clearly and can aid any debugging.